Farming distribution in the UK Aim: To discover how farming is spread across the UK. Resources New Connections – P.34-35 Outline map of the UK Growing. 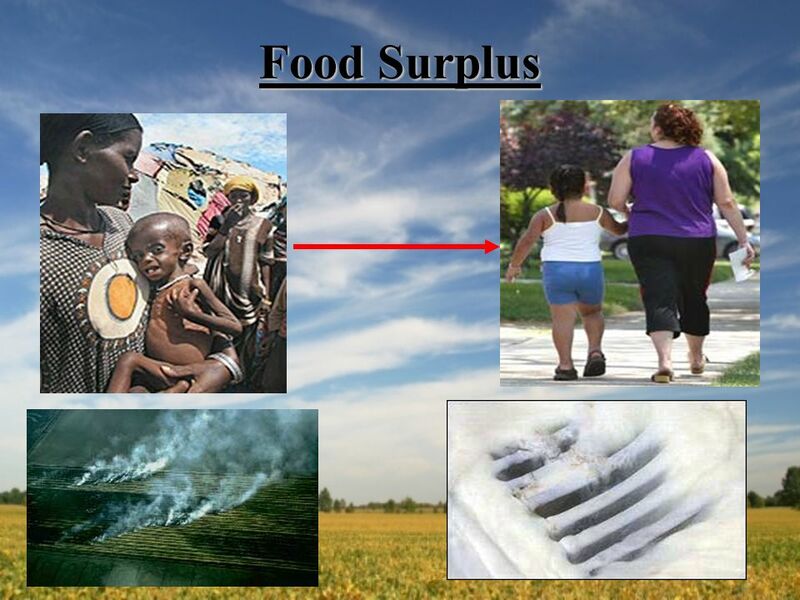 2 What is the distribution of farming? 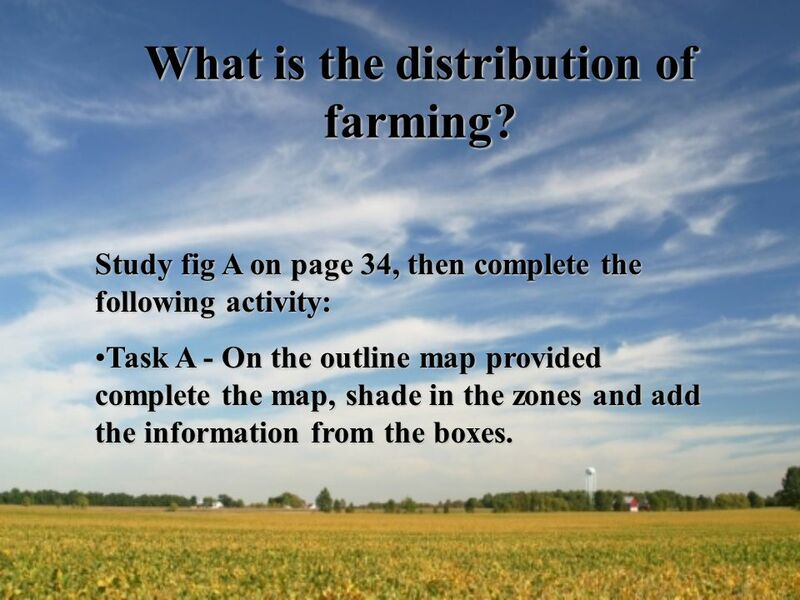 Study fig A on page 34, then complete the following activity: Task A - On the outline map provided complete the map, shade in the zones and add the information from the boxes.Task A - On the outline map provided complete the map, shade in the zones and add the information from the boxes. 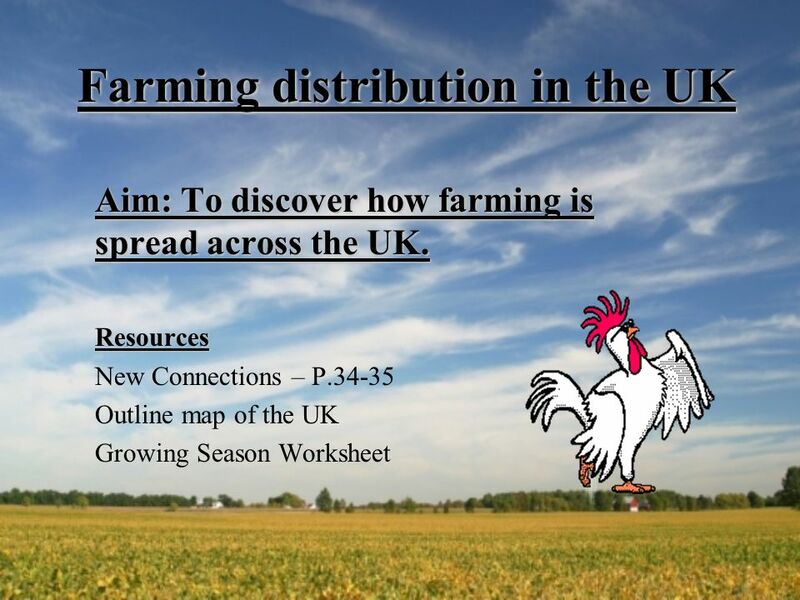 Download ppt "Farming distribution in the UK Aim: To discover how farming is spread across the UK. Resources New Connections – P.34-35 Outline map of the UK Growing." 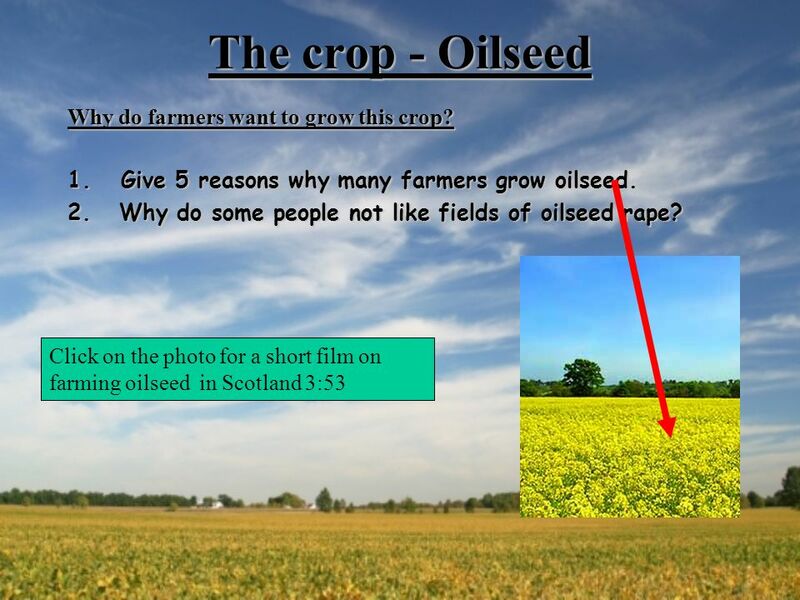 Farming Aim: To find out about the different types of farming in the UK. Resources New Connections – p Colour Pencils OhhhhhArghhhhhhh !!!!!!! Diversification on the farm. Aim: To discover how and why farmers diversify. Where to build?. Green Belt Where to build? Green Belt Areas of Outstanding Natural Beauty. 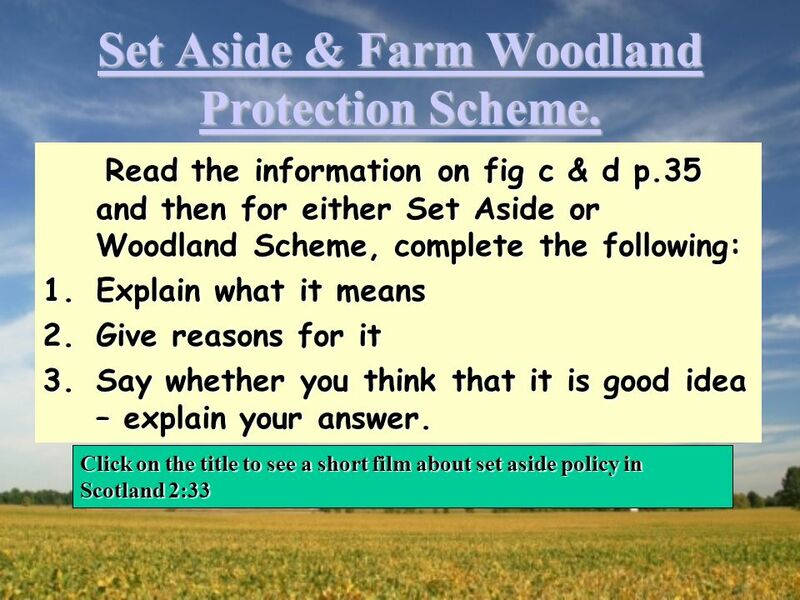 S2 Core Business Goods and Services. Nourish Scotlands sustainable food network. Background Formed October 2009 at Dunbar gathering: Eat more of what we grow, grow more of what we eat National. AGRICULTURE AND RURAL LAND USE Key Issue 2. Where are agricultural regions in less developed countries? Topics Today  Shifting Cultivation  Pastoral. Econometric-Process Simulation Models for Semi-Subsistence Agricultural Systems: Application of the NUTMON Data for Machakos. U.S. Agriculture Should American farmers participate in a free market? YOUR TASK: 1.Make up an appropriate title and write it in your book. 2.Write at least 5 bullet points that summarise what message this diagram is trying. The Traditional Economy. Sometimes people work for free. You might help a friend or do a favour for a neighbor. In the traditional economy, most production. Types of Farming Commercial farming - the production of food for sale. Usually LARGE tracts of land. Capital Intensive – Use of Equipment over people. Farming the wrong way Classification of farming. 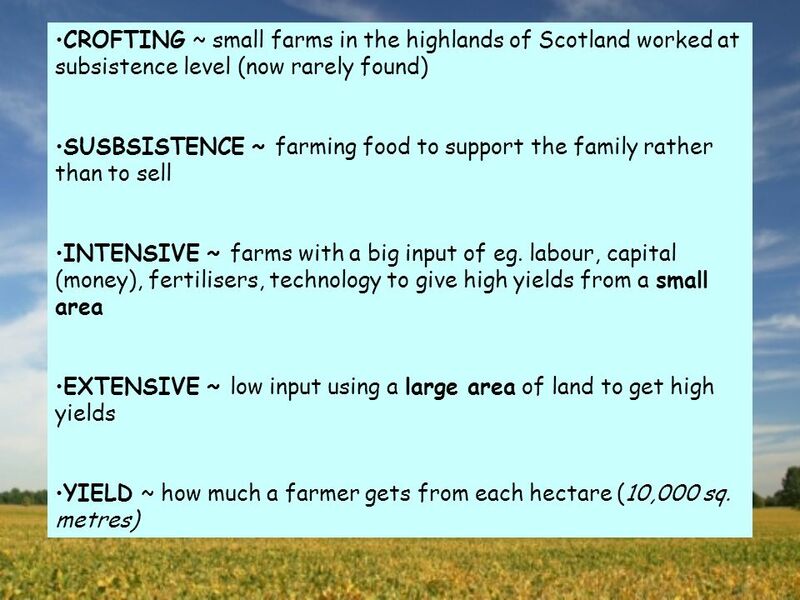 Intensive vs Extensive  Intensive = small farm + large inputs per unit of land  Output per land is. Shifting Cultivation[Date] Today I will: -Be introduced to the main characteristics of shifting cultivation Higher Rural. Upland Limestone Social and Economic opportunities created by the landscape. Yorkshire Dales. Primary Industries the collecting of natural resources F. Ciangura. RURAL GEOGRAPHY Many of the farmers who grow crops in South West India are subsistence farmers, growing rice on an intensive scale. Despite their hard. Farming in West India (Kerala)[Date] Today I will: -Be able to describe the location of Kerala -Describe the farming which takes place here Geography National. 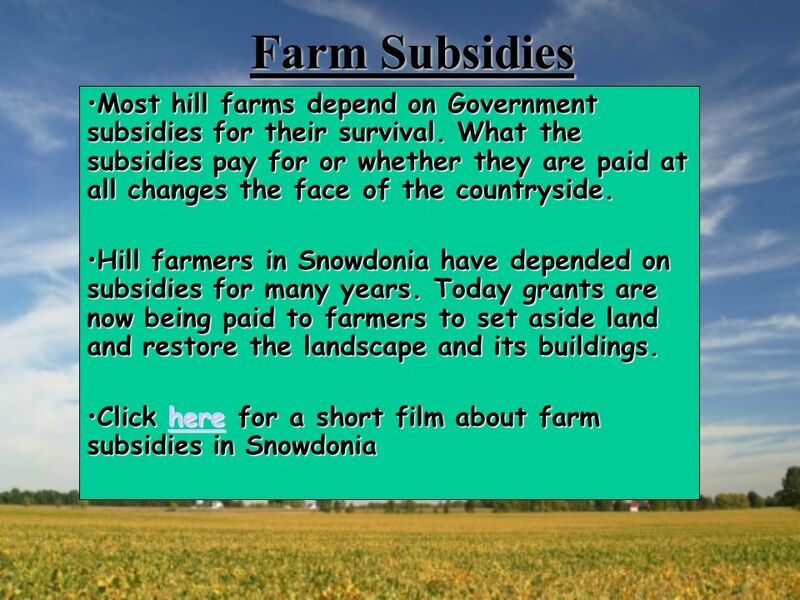 Farming Aim: To find out about the different types of farming in the UK. Resources New Connections – p.28-31 Colour Pencils OhhhhhArghhhhhhh !!!!!! !